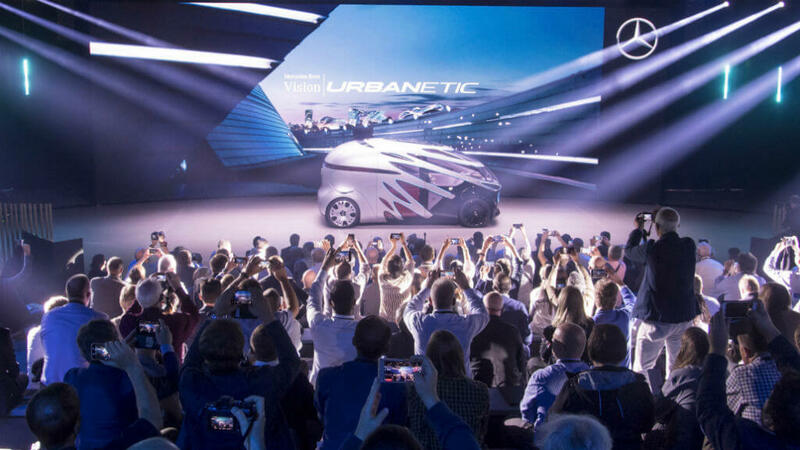 Dortmund / Cologne, January, 16th 2019 – Daimler and OSK have won the Brand Ex Award in Gold for the world premiere of the mobility concept „Vision Urbanetic“. The event, which took place in Copenhagen in September, was awarded in the category „Event, Best Live PR“. The awards were presented in Dortmund. With the Vision Urbanetic, Mercedes-Benz presents a mobility concept that goes far beyond previous ideas about autonomous vehicles. The Van Vision Urbanetic removes the distinction between passenger transport and freight transport. It enables the sustainable and efficient transport of passengers (during the day) and goods (at night) according to demand. The concept reduces traffic flows, relieves inner-city infrastructures and contributes to an improved urban quality of life. In order to convey these dimensions to journalists and opinion leaders at the world premiere, they immersed themselves in a journey through time and space. With a time lapse they experienced the work of the van around the clock, from the transport of goods at night to the people mover during the day. In the course of time, the guests experienced a whole day in less than ten minutes. The highlight: while experiencing the time lapse, they suddenly saw that they were sitting on a revolving stage and rounding off the hours of a day. The BrandEx Award was presented for the first time. It is a combination of the former FAMAB Award, the BEA Award, the FAMAB NEW TALENT Award and the INA Award. The new prize is intended to be a creative award for lively communication. It honours outstanding brand experiences, thereby awarding international benchmarks in encounter communication and in temporary and permanent architecture. The initiators of the price are the Blach report, the FAMAB communication federation, the Westfalenhallen Dortmund and the study institute for communication.